MORNING MANNA : Sep 16 - ARE YOU THAT DONKEY? Sep 16 - ARE YOU THAT DONKEY? “Ye shall find a colt tied, whereon yet never man sat: loose him, and bring him hither… because the Lord hath need of him” (Lk 19:30,31). 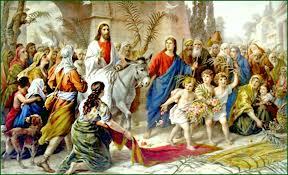 There may have been horses and other gracious animals available, but Jesus wanted this wild, bound and untameable donkey. If you are thinking you are a great man in this world, Jesus doesn’t want you. The donkey was not thinking about Jesus. Jesus was thinking about the donkey. The donkey did not show any love to Jesus. It was Jesus Who loved the donkey. The donkey was tied in a place where two ways met. Before every child of God, there are two ways kept – “My will” and “God’s will”. When Jesus saw the donkey, He sat on it. The Word of God says that nobody could sit on it before that. It was so wild. Nobody could control it. But Jesus sat on it and from that moment, its direction, its ways, completely changed. When Jesus sent His disciples to bring the colt, He did not tell them, “Train it and tame it”. He said, “Bring it as it is.” When Jesus sat on the colt, everything about it changed. “Behold O make all things new.” If God has not changed you, the reason is that you have not realized that you are a wild donkey. If God is not able to bless you spiritually, one reason could be that you are not able to realize that you are but a wild donkey. God wants people with the degree FWBDN (i.e. ‘Foolish, Weak, Base, Despised, Not’ – see I Cor 1:27,28). Your pride is the greatest hindrance for God to work for you.